The Kansas Lottery 300 is the first race of the second round of the 2018 NASCAR Xfinity Series playoffs. The playoffs began with 12 eligible drivers and are divided into three rounds with the first two rounds consisting of three races apiece, followed by a final, single-race round at the Homestead-Miami Speedway season finale. Four drivers are eliminated after each of the first two rounds to ultimately establish four finalists at Homestead. Drivers automatically qualify for the next round with a win in the current round with the remaining spots determined by the point standings. At Homestead, the top-finishing driver among the four finalists wins the championship. 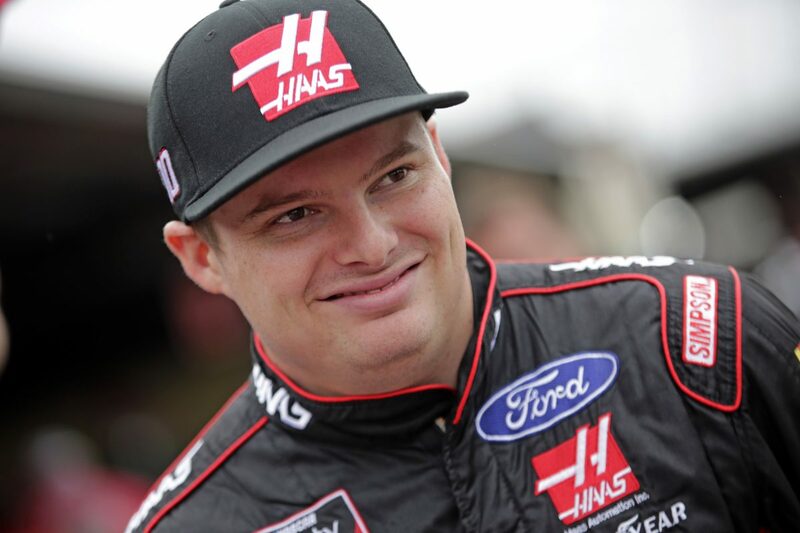 Custer’s most recent start on a 1.5-mile oval was last month at Las Vegas (Nev.) Motor Speedway, where he earned his fifth career NASCAR Xfinity Series pole, led three laps and secured his sixth top-three finish of 2018. He led the 2017 Xfinity Series with 422 points at 1.5-mile tracks after winning the season finale at Homestead by 15.405 seconds and winning Stages 1 and 2. Last year at Kansas, Custer ran as high as second place and ran inside the top-10 for the majority of the race. With just five laps to go, Custer radioed to crew chief Jeff Meendering that he had a cut tire. The Haas Automation team pitted for four tires under green and finished 19th. The Kansas Lottery 300 is the eighth of 10 races on 1.5-mile tracks on the 33-race NASCAR Xfinity Series schedule. Custer has earned two poles, five top-five finishes, six top-10s and has led 50 laps in the seven 1.5-mile races run this season. Custer’s only finish outside the top-10 was at the 1.5-mile Atlanta Motor Speedway oval, when was involved in an accident not of his own doing. Custer has competed in three career races at Kansas – two Xfinity Series starts and one in the 2016 NASCAR Camping World Truck Series. Custer’s average starting position of 6.2 and five pole awards leads all Xfinity Series regulars this season. He has earned 19 top-five starts and 24 top-10 starts in the 2018 Xfinity Series season. Custer’s best finish in the 2018 Xfinity Series so far is second, earned three times – May 26 at Charlotte (N.C.) Motor Speedway, Sept. 1 at Darlington (S.C.) Raceway and Oct. 6 at Dover (Del.) International Speedway. Custer is fourth in the 2018 Xfinity Series playoffs with 3,011 points, 33 behind leader Christopher Bell but tied with Elliott Sadler for the fourth and final position that will advance to the championship round. Custer is competing for his third consecutive top-10 and second top-five in a row this weekend in the Kansas Lottery 300. No Monster Energy NASCAR Cup Series drivers are entered in the Kansas Lottery 300. You spent your off weekend road-course racing at Road Atlanta. How was that? The Round of 8 is here. How do these tracks match up to your racing style? If you had to win at any of the three tracks in this round of the playoffs, which one would it be and why? The point standings are tight. Does it make you nervous that it’s fair game for the championship round? What about this Round of 8 fits your team’s driving style and how would you rank this stretch of races compared to the others?